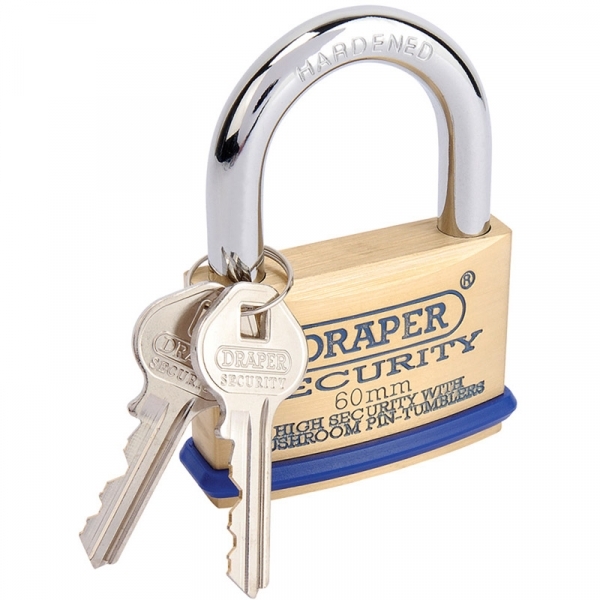 Solid brass body with hardened steel shackle. Special bumper to prevent damage to locked item. Supplied with two keys. Key blanks are available separately. Display packed.